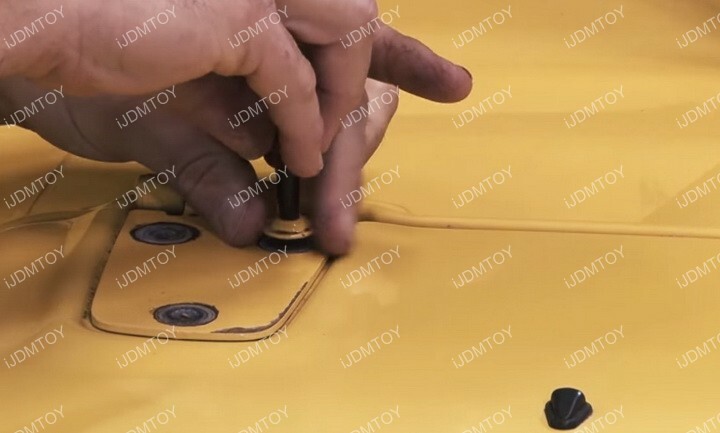 Directly mount to the factory bolts on the hood. 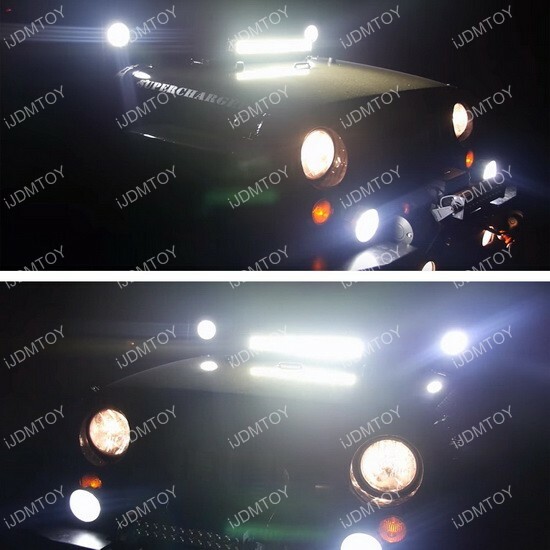 Give your Wrangler an awesome and unique look both day and night! 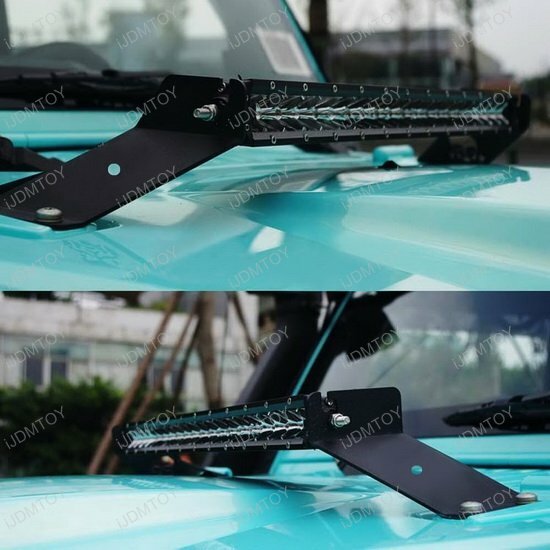 Q: How do I install this Jeep Wrangler LED Hood Mount Light Bar? 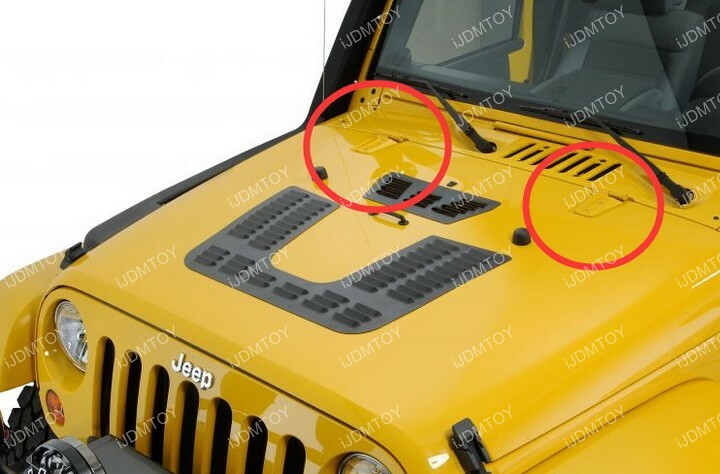 A: Step 1: Remove the three screws located on each side of the hood near the windshield. 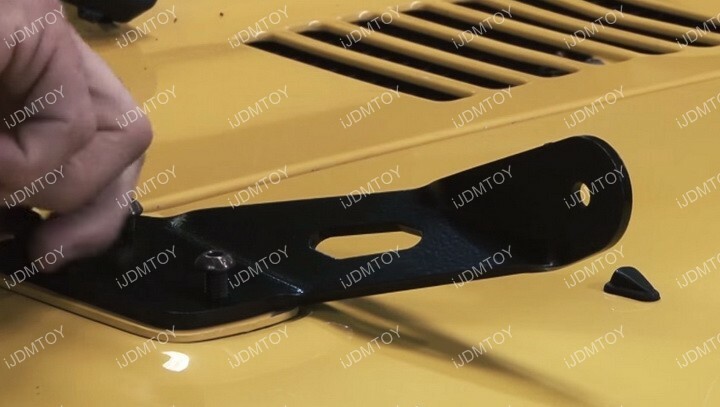 Step 2: Directly screw in the new hood mount bracket. 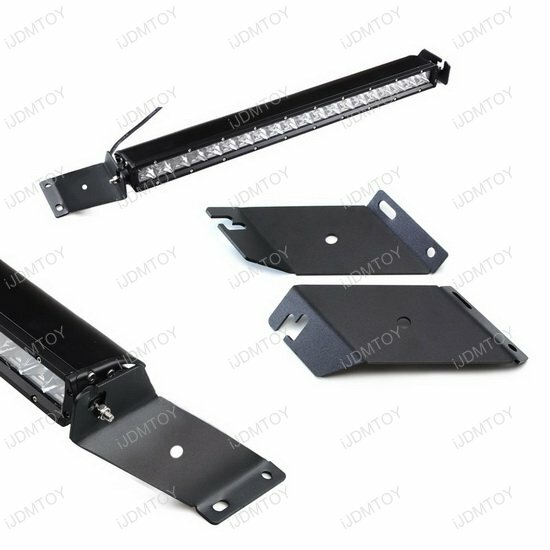 Step 3: Mount the Jeep Wrangler LED hood mount light bar onto the brackets. 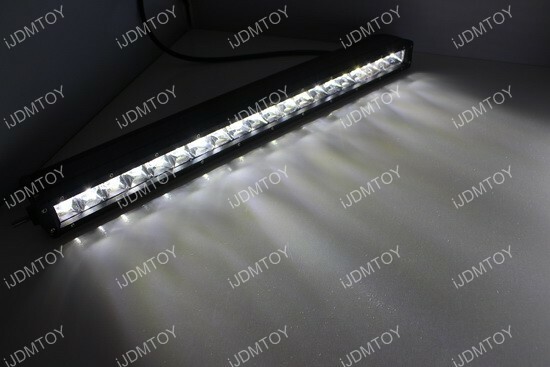 Step 4: Extend the wires to your headlights or fog lights so the Jeep Wrangler LED hood mount light can light up using existing switch. 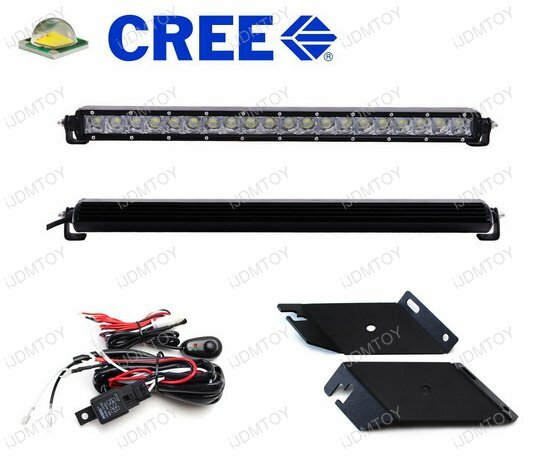 This page features one complete set of hood mounting 100W CREE® high power LED light bar with (2) black powder coated steel mounting brackets and On/Off switch wiring kit for 2007-2017 Jeep Wrangler (JK). 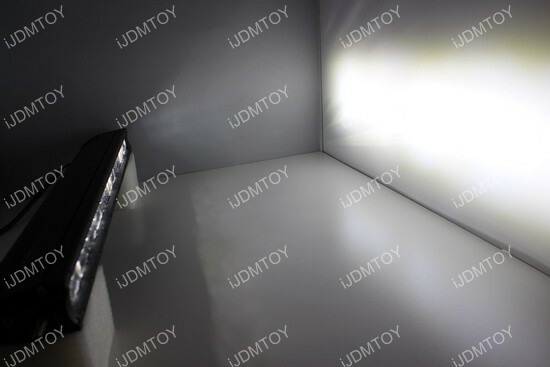 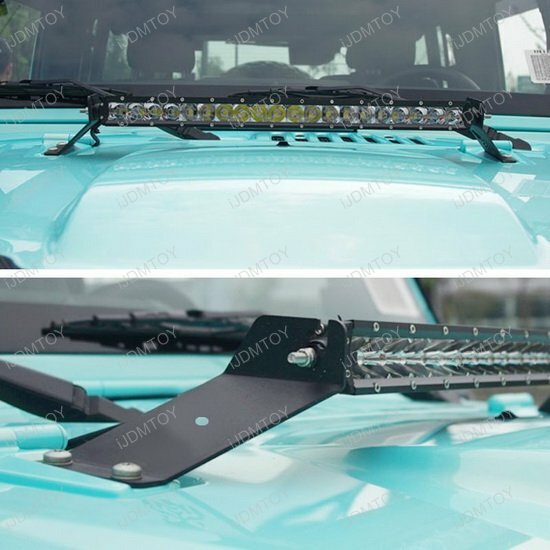 It will allow you to easily to install this super bright LED light bar in front of the your Jeep Wrangler windshield on the hood with no drilling no modification required! 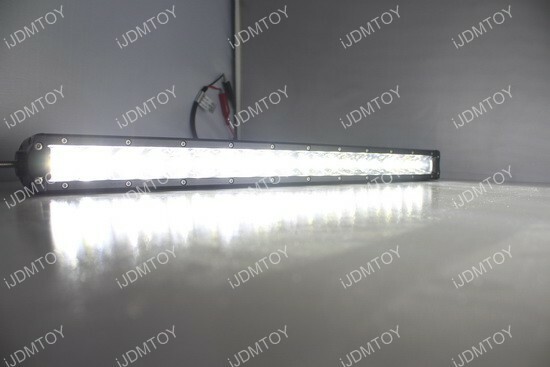 This little LED light bar is bright. 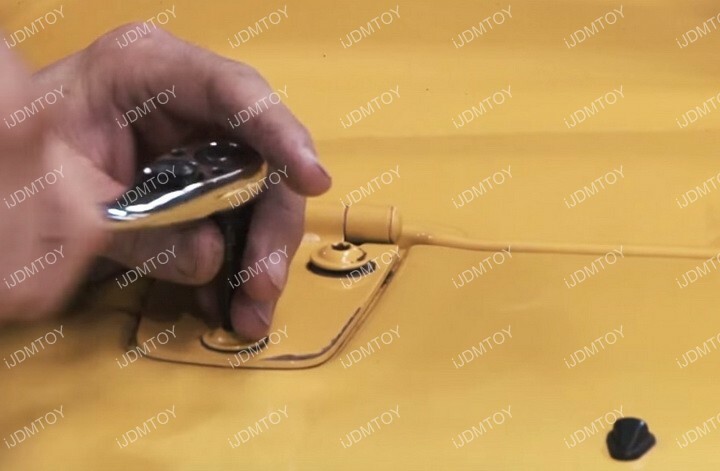 No one expects it to be so flooding on my Jeep Wrangler! 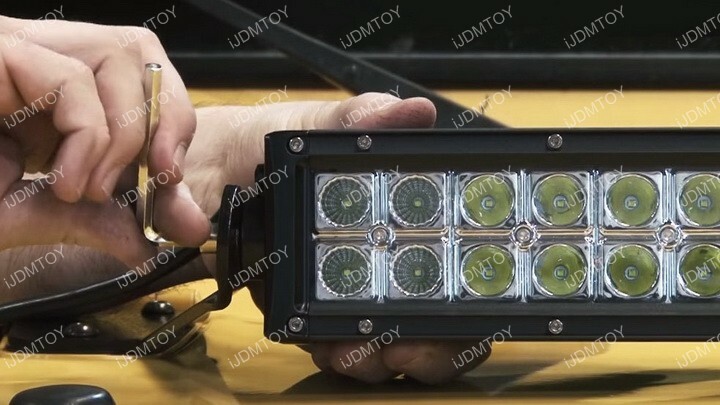 Super Jeep Wrangler LED light bar system, looks great when mounted onto the hood of my Jeep. 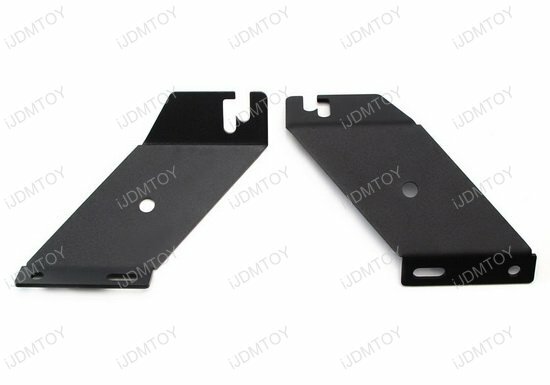 Very well constructed metal mounting brackets too.